Exomotive - US Manufacturer of Exocars & Kit Cars | Congrats to Greg in Pennsylvania! Congrats to Greg in Pennsylvania! 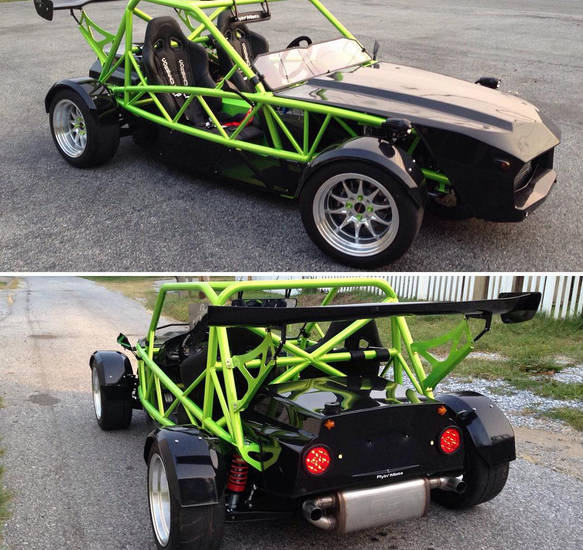 Greg’s FMII turbo-powered Exocet Race car is ready for the street in PA. Powder coating is Shocker Yellow over Super Chrome with Jet Black bodywork.